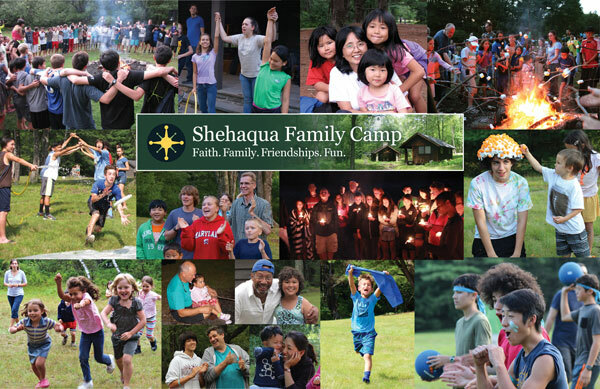 Come join the spring celebration with the Shehaqua community at the Spring Gathering at Camp Shehaqua, May 18–20. Spend time with friends you haven't seen in a while, enjoy quality time with your family, and meet new friends! As the cold winter months fade away, we look forward to new beginnings and changes. Take time to self-reflect and make new goals. Experience God's love through fellowship and nature. We will be facilitating discussions about building strong relationships with God, with our family, and with our community at large. In the afternoon, participate in or cheer on those running in the "Adventure Race," a team race through camp including many obstacles and challenges. Crafts and volleyball will also be offered as alternatives. The Spring Gathering will be staffed by Kyra Moyer, Melissa Manor, Seijin Tranberg, Francis Marchitelli, Luke Scazzero, Kolya Moyer, and Sunkook Iwasaki. Early Bird special ends April 29. Arrival on Friday, May 18, at 7pm (no dinner included) and departure on Sunday, May 20, at 1pm (after lunch). For fees and more details visit the Spring Gathering Fees page on our website. Visit our website here for more information or visit the registrations page here. Early bird deadline lasts until May 31. Top row (l to r): Denthew Learey, Chris Bush, Mike Stewart, Claude Aubert, Sunkwon Bush. Bottom row (l to r): Irina Kouznetsova, Igraine Convery, Haydee Ching, Felicitas Moyer. 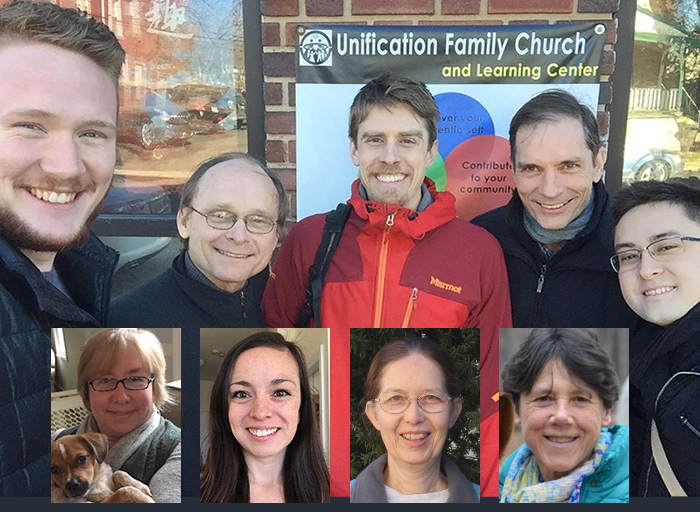 The Shehaqua Council met at at the Unification Family Church and Learning Center in Philadelphia for the annual Council Summit. Five members were able to attend in person, while the other four connected to all or parts of the meeting via Zoom Video Conference call. The Council discussed some policy questions related to specific Shehaqua programs as well as transition plans for volunteer positions such as Operations Team leader and Registrar. Everyone agreed that the meeting was very fruitful. 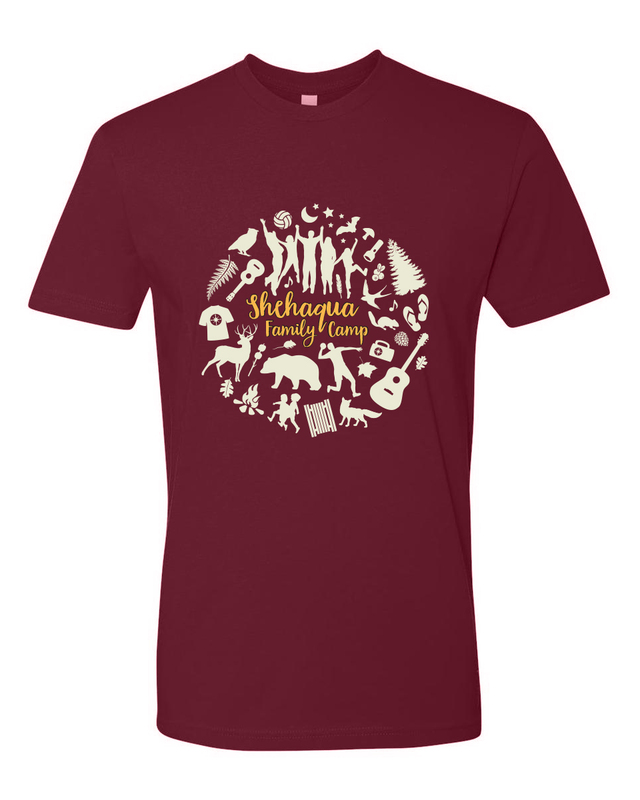 The 2018 Shehaqua T-Shirt was designed by Claude Aubert. It won't be ready for the Spring Gathering, but you can order it now for pickup at Family Camp. The shirt color is maroon. There is no print on the back. Please note that we cannot guarantee that your size will be available at camp, unless you preorder the shirt at the time of registration for Family Camp. The latest date we can accept a preorder is June 24. Please also submit your payment for your t-shirt preorder by June 24.